The Uni-Ball Lakubo Ballpoint is kind of meh - it's not bad, but nothing really stands out. 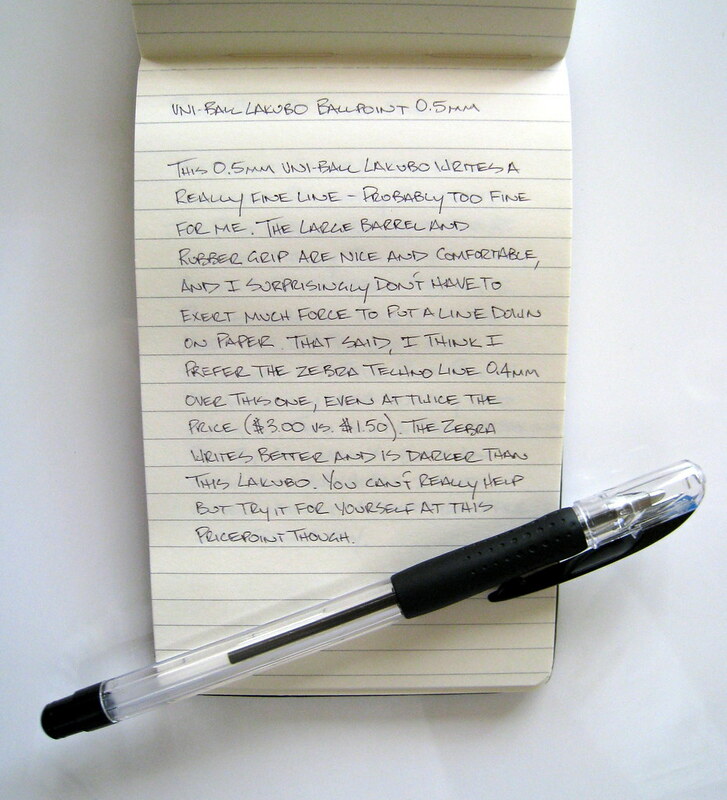 Aside from delivering a comfortable writing experience, the list of positives isn't very long. Pen spinners might like the length and shape of the barrel, but that's about it. I just feel that the line leaves a little bit to be desired. I'd like it darker, but I have to remind my self that this is a much finer ballpoint than normal. Try it for yourself though - at $1.50 it's a fair price. This pen was a sample sent by JetPens, and also comes in a 1.4mm width. Posted on September 10, 2008 by Brad Dowdy.